Now, isn't this pretty? Here's a Blueberry Pie recipe - a summer classic - from CosmoCookie. According to Meghan, the filling is rich and tart and the crust 'tastes like flaky butter'. Give it go, folks, and put your fork in it! Note: The recipe calls for 4 cups of blueberries - make sure you get the juiciest and choicest blueberries you can find. Try the farmer's market instead of your local grocery store as the ones they stock tend to be tasteless frauds. In a pinch, frozen Maine wild blueberries are preferable to so-called blah 'fresh berries'. 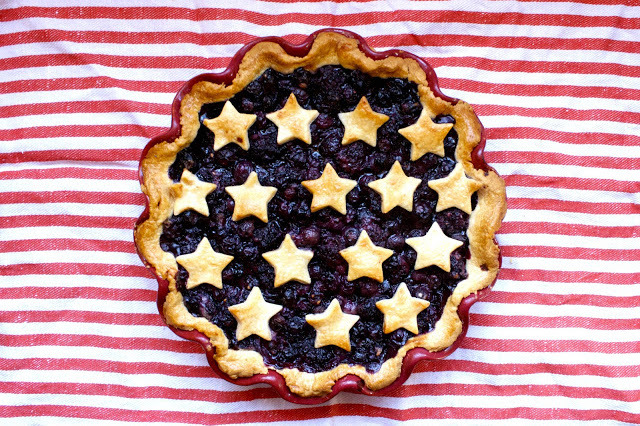 AMERICAN FLAG PIE: HOORAY FOR THE RED, WHITE, AND BLUEBERRY! 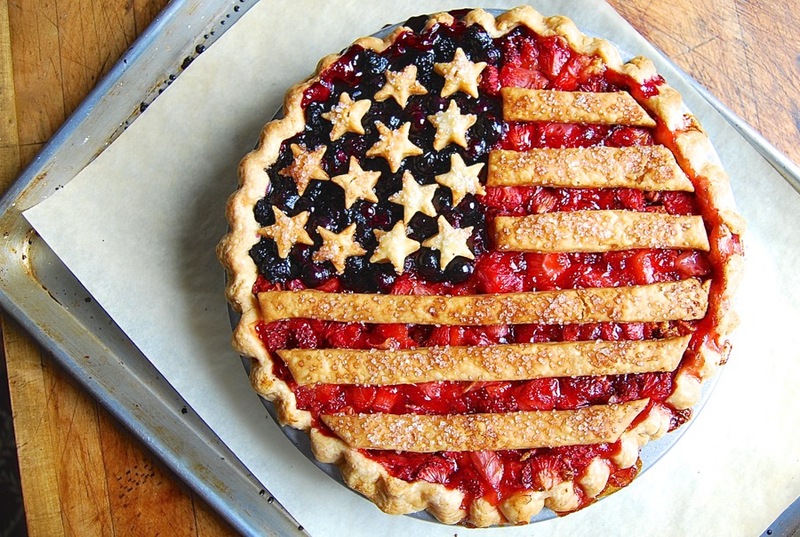 Okay, it's not time to celebrate quite yet but in case you need some dessert ideas for the coming holiday, here's an American Flag Pie recipe from King Arthur Flour via their blog Flourish (flour + nourish). 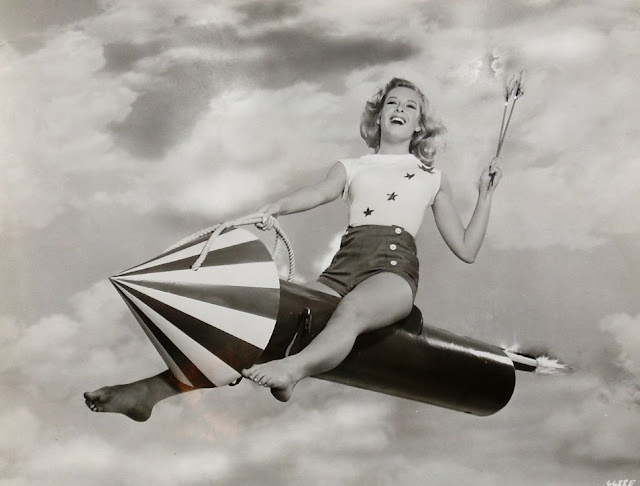 Now, this is the way to impress friends and family this Fourth of July! Does it look like a lot of work? Maybe. But this decorative strawberry and blueberry pie looks both patriotic and delicious. The perfect dessert to celebrate Independence Day!